On Tuesday, December 5, 2017, the Fourth Estate Restaurant will host a dinner featuring Joan Nathan. And you need not be a King, or a Queen, or even Jewish, to enjoy this Royal Feast! 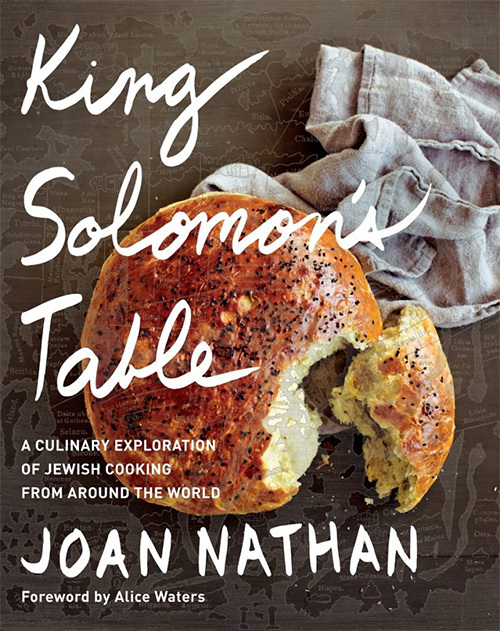 James Beard Award-winning author Joan Nathan will guide diners through a five-course dinner drawn from her newest cookbook, "King Solomon's Table," on Dec. 5. Nathan is the author of ten cookbooks and a regular contributor to The New York Times and Tablet Magazine. She is the author of the much-acclaimed "Jewish Cooking in America," which won both the 1994 James Beard Award and the IACP/Julia Child Cookbook of the Year Awards, and "The New American Cooking," which also won the James Beard and IACP Awards. King Solomon, of the book’s title, was said to have sent emissaries throughout the ancient world, initiating a mass cross-pollination of culinary cultures that continues to bear fruit today. With Solomon’s appetites and explorations in mind, Nathan gathers together more than 170 recipes, from Israel to Italy to India and beyond. Nathan's PBS television series, "Jewish Cooking in America with Joan Nathan," was nominated in 2000 for the James Beard Award for Best National Television Food Show. An inductee to the James Beard Foundation's Who's Who in American Food and Beverage, she has also received the Silver Spoon Award from Food Arts magazine. The menu and appropriate wine pairings will be published when available.